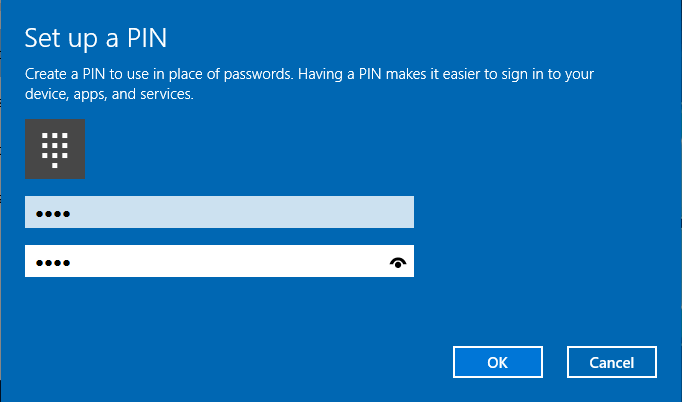 Since Windows 8, and continuing in Windows 8.1 and Windows 10, user can choose to add a PIN to his or her user account in order to quickly sign in to the computer with the configured PIN. 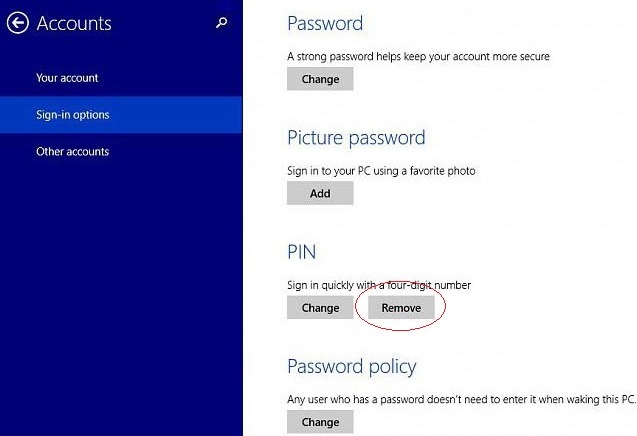 If you change your mind, here’s how to disable or reset and remove the PIN from your user account, irregardless of it’s a Microsoft Account (MSA) or local account. 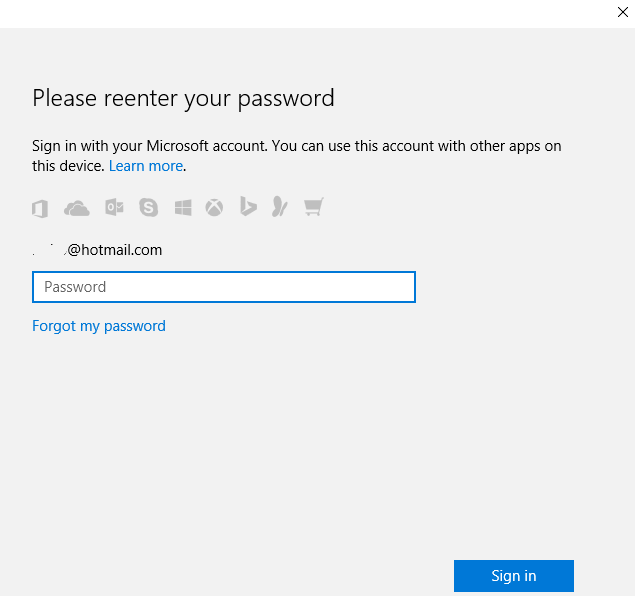 If you are unable to sign in to Windows 8, Windows 8.1 or Windows 10 with the PIN, click or tap on the Sign-in options link on the logon screen, and select to sign in with the password or other authentication method. Note that in Windows 10, the only way to disable or remove the PIN or to set the PIN again is by resetting the PIN. In Windows 8 or Windows 8.1, open Charms bar by sliding down or up from the top or bottom left corner (slide in if you’re using touch), then select Settings, and go to Change PC settings. In Windows 10, click on Start and open the Settings app. Alternatively, open Action Center (Notifications Center bar) from system tray of Taskbar and select All settings. Click or tap on Accounts on the left side. In Windows 8, go to Users on the left pane. In Windows 8.1 or Windows 10, go to Sign-in options on the left pane. In Windows 8 and Windows 8.1, click or tap on Remove button under the “PIN” or “Sign-in options” section (in Windows 8 and Windows RT, the “Remove” button is the one next after the “Change PIN” button). In Windows 10, click or tap on the I forgot my PIN link under PIN heading, next to “Change” button. In Windows 10, click or tap Continue to confirm removing or resetting the PIN. You may not see this confirmation dialog if you’re not using Microsoft account (using local account instead). 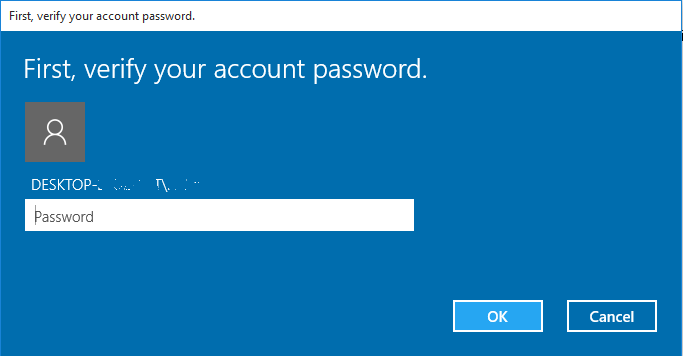 In Windows 10, you may need to reenter and verify your account password for both local account and Microsoft account (including 2FA secondary authentication steps if enabled). Click or tap on OK or Sign in when done. Confirming password to reset PIN with Microsoft Account. Confirming password to reset PIN with local Windows Account. In Windows 10, you’re now prompted to set up PIN again. If you want to remove and disable the PIN, select Cancel. Else you can type in a new PIN, and click or tap on OK to set up new PIN. That’s it. You will notice that the button for PIN section now show “Add”, allowing you to add a PIN to your account if you wish, and also indicating that the existing or current PIN has been removed and disabled. 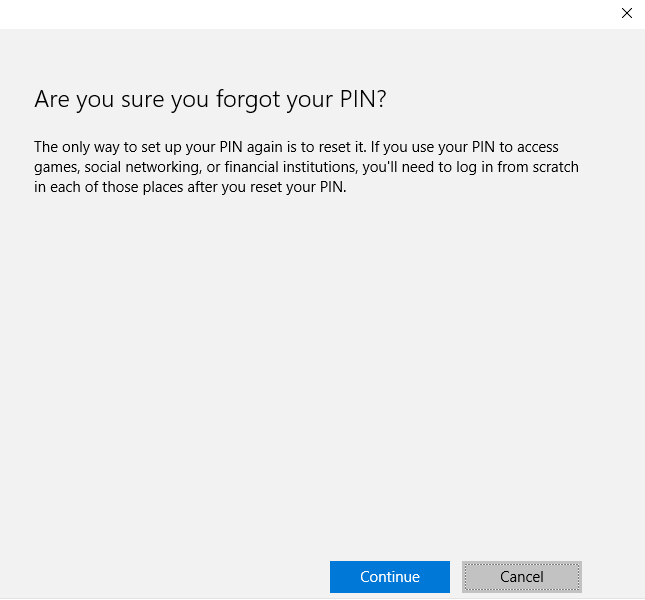 If you use your Microsoft account PIN to access games, social networking, or financial institutions, you’ll need to log in from scratch in each of those places after your reset your PIN.